Jemima Kirke, daughter of Bad Company drummer Simon Kirke, has starred in her first movie, Tiny Furniture. The movie is about a young girl, Charlotte (Kirke), who assists her childhood friend in discovering life. The director of the movie, Lena Dunham, also plays a crucial role in the movie as the friend, Aura, who has recently graduated from Ohio and has a sad life, without a job and without a boyfriend. Tiny Furniture sees Jemima Kirke fall for emotionally unavailable men as she helps Aura take up a job as a hostess and get going with her life. Jemima Kirke has garnered a lot of attention for her portrayal of Charlotte in Tiny Furniture. In an interview, Kirke revealed that she met the director of Tiny Furniture in a school bathroom, became friends and that is how the entire thing started. A new single mom, a smoker, a dyed-in-the-wool New Yorker and a first time actress with a debut like Tiny Furniture  that is what makes Jemima Kirke such a huge success and someone the world will start keeping an eye on. Happy Birthday Paul! Having your songs in our lives is such a blessing. Wishing you much peace and happiness in the coming year. Hi Paul have a great Birthday I have my tickets to see 3 of your UK shows in the spring . Long may you have good health. Thanks to you and Cynthia for supporting the Free Convention in the UK these last few years Bill F.
Happy birthday to you!! May all your wishes come true!!! Have a brilliant birthday! Remember . . . you're always resting on my mind. Love you madly, Kathryn H.
Happy Birthday, to one of the most talented men God has graced us with. Happy Birthday Paul from a lifelong fan. You have been a true inspiration and source of great enjoyment for decades through your awe-inspiring music and incredible voice. You are a true legend that will never be replaced. Have a great birthday. You songs of Love, Peace and Freedom have never wrung truer. As we celebrate the holidays and your birthday, please welcome my appreciation for the great inspiration, motivation, and music youve provided me. God bless you and your family. Please keep writing, recording, and performing (in NJ) as long as you can. Happy Birthday ! Keep Rocking and I hope the new year brings new material. Happy Birthday. To the guy with he best voice ever!!!!!! Hope you enjoy your Birthday! Thanks for all the great music over the years. You have been an inspiration to me and I'm sure millions of others. Best wishes to you on your 'special' day...Happy Birthday and may you have many, many more!!! Debra S. from Ventura CA sending special birthday wishes your way. Thank you for reminding us to BELIEVE, and for the music that matters so very much. Happy Birthday Paul!! Wishing Paul a very happy birthday on Thursday, hope he has a fantastic day. I am looking forward to the Albert Hall in April. Wishing you a very happy birthday. Look forward to seeing you next year on tour. Happy Birthday to one of our favorite Rock Stars. Thanks for the many years of great music & concerts. HAPPY BIRTHDAY PAUL, HAVE A LOVELY DAY. Here's hoping you have a great birthday. Keep on rocking. Happy Birthday Paul, I hope your Birthday is full of fun and laughter. Keep up the great work, your band (BAD CO) is the best in the world and I listen every day as I almost have for the last 30 years or so. Happy birthday Paul! Hope you enjoy your special day with love.Health and happiness. Love Dee B. Happy Birthday Paul, and may you have many more. Thank you for all that you share...Love, Amy R.
'LIVING ON THE EDGE' WAS JUST BRILLIANT !!!!!!!!!! John Waite, Marc Bonilla and others. Billy Idol closes the show. Webcast starts at 6 PM PST/9 PM EST. All-star band goes on at 8 PM PST/11 PM EST. Hi my name is Jake, I have been playing guitar for about five years. I first played my sisters acoustic guitar when she lost interest in playing which was fortunate for me. I originally wanted to play like Kirk Hammett and Angus Young. But one day I heard my Dad playing some Little Feat, that was it I was hooked, Lowell George was a great influence on me getting into the blues. I loved his style of playing. One of my favorite albums is Hoy Hoy, this turned me onto people like Bonnie Raitt then to BBKing, Albert King, Freddie King, Roy Buchanan and the great Stevie Ray Vaughan. I first started lessons at 10yrs with a great teacher called Jo Beach, with Jo I passed my Grade 3 at 11yrs and then my grade 5 at 12yrs. At that point I decided to change my teacher and found Timmy Moore of the great blues band from Maidstone called Nicky Moore and the Blues Corporation. Timmy taught me for just over a year. I decided to take my grade 7 so I went to The Guitar School in Hastings and was taught by Dan Jefferies another great player, by December 2009 I had passed my grade 7 with a distinction. Interesting Vocals that's for sure !! Check this video out now. THIS SIGNED SET LIST AND AUTOGRAPHED STAGE USED TAMBOURINE (USED BY PAUL RODGERS) WERE GIVEN TO CLASSIC ROCK REVISITED EDITOR JEB WRIGHT ON JULY 30, 2010 IN DURANT, OKLAHOMA AFTER THE SHOW. THE SET LIST WAS ALSO SIGNED BY THE THREE FOUNDING MEMBERS OF BAD COMPANY WHO PLAYED THAT NIGHT. THE TAMBOURINE WAS ALSO SIGNED BY THEM. Please note that it is a one off and was hand painted by Cynthia. 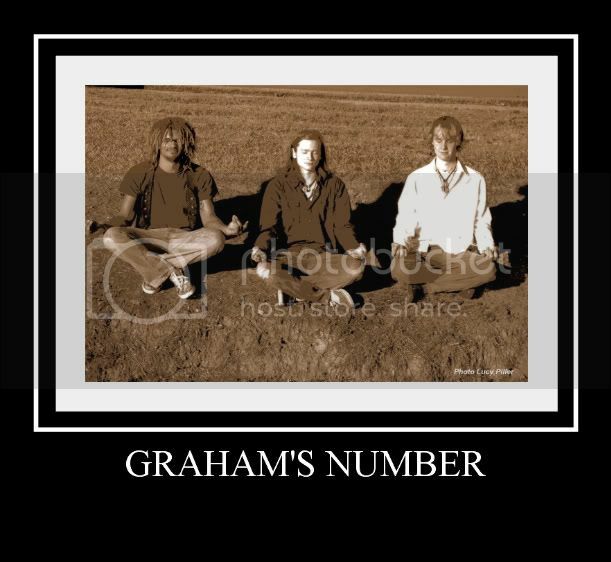 with beautiful harmonies which are all rolled together to form the bands UNIQUE sound"
Graham's Number is an upcoming Atlanta band of three with extraordinary potential and a cutting edge new sound. They combine traditional song writing with new innovative sounds, incorporating an array of styles into their music with influences ranging from Jimi Hendrix, and The Beatles, to The Red Hot Chili Peppers, and Sublime. Based in Marietta Georgia, Grahams Number got it's start with guitarist, Nick Sanders, teaming up with best friend, bass guitarist Andy Scherm. In July of 2009 drummer/songwriter, Brandon McKinney, was added on to complete the line up. The chemistry these young men have together bring back recollections of greats such as the Beatles, Led Zeppelin, and Rush. Our Music Sounds Like A Collage of colors on a dancing afternoon, balancing on a seam of density and chaos creating a warm feeling on your cerebrum in the right spot, bluntly and heartfelt everchanging and expanding, as all journeys pursue the next second of existance. Nic Sanders, born in Atlanta, GA on April 26, 1990, began his musical adventure at the age of 11. Impacted by personal, real, raw, magical, and down-right soulful music, his influences range from Jimi Hedrix, John Lennon, Bob Dylan, Bob Marley, Robert Plant, Kurt Kobain, Bruce Hampton, Sublime, Radiohead, Grateful Dead, Red Hot Chili Peppers, Primus, and Alice in Chains. At 15, Nic officially set his heart on playing music that made one think and feel a deep sense of awareness of one's soul and consciousness. A message of love, peace, and oneness of all mankind. He uses his heart and soul as his teacher to create music that is not bound by age, ethnicity, or culture. As a guitar and spiritual music prodigy at age 18, Graham's Number was born. Brandon McKinney was born August 29, 1990 and raised in various parts around Atlanta. He started playing bass at age five. Brandon got his first drum set at seven, and played drums in worship bands at age 11. Brandon has always been very curious and loves learning. He plays music because it gets him high, seeing music as a way to express passion, but also looks at it as a dangerous tool, because music is extremely manipulative and peoples passions often arent positive ones. Brandon's adventurous nature led him once to set out for Florida on foot with his best friend at the time and lived in Florida in a tent. His biggest influences are The Beatles, Smashing Pumpkins, Modest Mouse, a Perfect Circle. Andy Scherm was born in Atlanta, GA on September 20, 1989. Andy discovered his interest and love for music at the age of 11, and joined the orchestra playing the stand up bass. Three years later, Andy was introduced to the bass guitar. Some of his influences are Jimi Hendrix, Victor Wooten, Grateful Dead, Radiohead, Primus, Nirvana, Flea, and Vanilla Ice. A spiritual message inspired Andy's input into this transfusion of soulful, raw, in-your-face music. He gets carried away by just picking up an instrument and playing. To Andy, music is very real and personal. of three with extraordinary potential and a cutting edge new sound. to alert you personally whenever and wherever Graham's Number has an appearance. 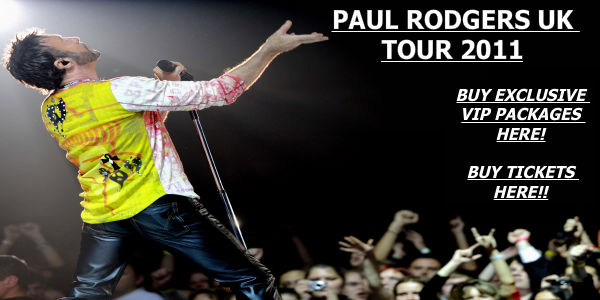 <?xml:namespace prefix = v ns = "urn:schemas-microsoft-com:vml" /><?xml:namespace prefix = w ns = "urn:schemas-microsoft-com:office:word" />Everyone knows that Paul Rodgers is one of the greatest singers in the world. What they are only just waking up to is that there may never be another like him." 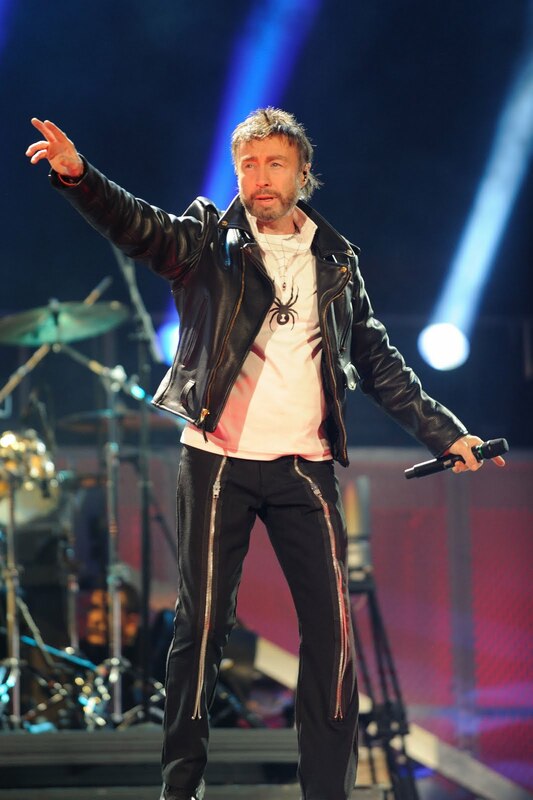 16th November 2010  Paul Rodgers, legendary singer/songwriter is the only musician in history to have led three bands to international success Free, Bad Company and The Firm and achieve a Grammy nominated Solo career. He will be returning to the UK in April of 2011 to play 10 exclusive Solo shows. His last UK Solo tour in 2006 culminated with the filming of his debut Certified Gold DVD Live in Glasgow that charted internationally, #1 in Canada #3 in the US, on the Nielsen soundscan charts, #2 in Japan and #4 in the UK. He is one of the most revered vocalists and songwriters in rock music. Paul Rodgers is the real deal. Eric Clapton 2008 Working with Paul gave me the opportunity to appreciate what an extraordinary vocalist and songwriter this man really is. Jimmy Page. 2010 Pauls voice is incredible! Robert Plant 2010. Tickets go on sale at 9am on Friday 19th November 2010. Selling over 90 million and counting records during his career, Paul Rodgers is and has been one of the most sought after and recognizable vocalists in rock music, who joined forces with Queen in 2004 to tour and go on to record a new studio album The Cosmos Rocks released in 2008.A songwriter and self-taught multi-instrumentalist, Rodgers has written, recorded, produced and released 30 albums since 1968. He has recorded/performed with some of the most legendary figures in musical history - Jimmy Page, Jeff Beck, David Gilmour, Eric Clapton, Joe Walsh, Slash, Nils Lofgren, Charlie Watts, Bryan Adams, Motown's Sam Moore & The Four Tops, blues greats Buddy Guy, Hubert Sumlin and others. In 2009, Rodgers was the recipient of the Classic Rock Roll of Honour Classic Songwriter award presented to him by Jeff Beck and Jimmy Page. Recently, BMI presented Rodgers with his fourth Million Air Award in recognition of more than four million performances of Frees hit song "All Right Now on U.S. radio, the song has also surpassed a massive 2,000,000 radio plays in the UK (as of 2000). A radio staple for 40 years, All Right Now was an international #1 hit in over 20 territories.When I started writing All Right Now the lyrics and the melody flowed easily. It felt special then and still does. Its a must play in my Solo set. Paul Rodgers .The song topped the UKs 2010 Planet Rock radio fan poll as the Greatest Rock Single, in one of the most decisive polls theyve ever run, beating out 39 international chart-topping hit songs from artists such as Led Zeppelin, Nirvana, AC/DC, The Eagles, Queen and Guns and Roses. Previous Planet Rock polls placed All Right Now on the Best Summer Rock Song, Greatest Rock Riff of All Time and Ultimate Driving Songs charts. After a five-year skyrocketing run of success, Free would disband in 1973 and Paul Rodgers would go on to form and front another legendary rock band, Bad Company. Earlier this year, The Very Best of Free and Bad Company featuring Paul Rodgers , featuring Rodgers greatest works during the legendary 68-73 era of Free and 73-82 era of Bad Company, became Bad Company's first top 10 chart appearance since 1979 and Free's first since 1991.Paul Rodgers and Bad Companys 2010 UK tour Sold Out. Supporting Rodgers on his Solo tour are special guests Joe Elliots Down N Outz. Fronted by Joe Elliott of Def Leppard and backed by The Quireboys, Down N Outz will be an evening of music by Mott The Hoople and its collective works. Can you SING like Paul Rodgers?? Tons Of Free are - Mick Stubbs (Guitar),Mick 'Abo' Warner (Bass) and Ray Richman (Drums). Formed some eight years ago, the band enjoyed much acclaim from their live performances, creating an authentic 'Free sound'. Mick Stubbs - a seasoned blues rock guitarist,plays classic old school Les Paul/Marshall guitar blues. A big Kossoff fan,he plays with fire and passion - the only way to create Koss' sound. Mick Warner - a fine Bass player of some three decades was inspired by Andy Fraser to learn how to play when he was 15. Mick's role in the band is to create Andy's unique groove and sense of harmony,this he does with a passion. Ray Richman - A fantastic drummer, Ray possesses the rare quality of creating 'space' in the music - essential in creating Free's feel - very powerful and subtle when it matters. When he started out in the band Ray relished the challenge to fill Simon's shoes and was soon hooked. We adore playing Free's great music,its so different to the music we play in other bands. It takes passion,a unique telepathy and unselfish approach to be able to create the dynamic range of their music, and this, we are very fortunate to have. We are not a tribute band.... We're not pretending to be 'Free' our aim is to give an audience an evening of their music played to the best of our ability. They were a phenomenal band and the fans we feel, because we are too, deserve our best. We need a singer! Someone with the same passion,where money comes last and the dedication to their music comes first. FREES ALL RIGHT NOW SURPASSES FOUR MILLION AIRPLAYS IN THE U.S.
Los Angeles, CA  November 4, 2010  BMI has presented Paul Rodgers, singer songwriter and founding member of Free with a new Million Air award to acknowledge four million performances of Frees hit song "All Right Now." Million Air awards are presented to songwriters in recognition of songs that receive two million or more U.S. radio and television performances. A radio staple for 40 years, the song has also surpassed a massive 2,000,000 radio plays in the UK (as of 2000). All Right Now appeared on the bands Fire and Water album in mid-1970. The single was an international #1 hit in over 20 territories and landed at #2 on the UK charts and #4 on Billboard Hot 100. When I started writing All Right Now the lyrics and the melody flowed easily. It felt special and its still special to me and the fans. 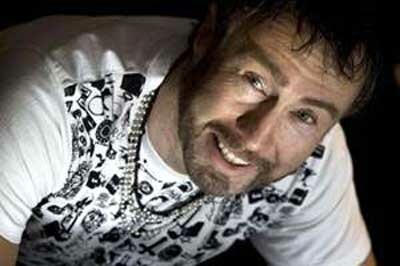 Its a must play in my solo set, said Paul Rodgers. Recently, All Right Now topped the UKs Planet Rock radio fan poll as the Greatest Rock Single, in one of the most decisive polls theyve ever run beating out 39 international chart-topping hit songs from artists such as Led Zeppelin, Nirvana, AC/DC, The Eagles, Queen and Guns and Roses. Previous Planet Rock polls placed All Right Now on the Best Summer Rock Song, Greatest Rock Riff of All Time and Ultimate Driving Songs charts. After a five-year skyrocketing run of success, Free would disband in 1973 and Paul Rodgers would go on to form and front another legendary rock band, Bad Company. Earlier this year, The Very Best of Free and Bad Company featuring Paul Rodgers greatest hits collection, featuring Rodgers greatest works during the legendary 68-73 era of Free and 73-82 era of Bad Company, became Bad Company's first top 10 chart appearance since 1979, Free's first since 1991 and was Rodgers return to the charts following his 2007 certified Gold debut solo DVD Live in Glasgow which charted at #1 in Canada, #2 in Japan, #3 in the US and #4 in the UK. Portions of the proceeds will go to support the Eisner Pediatric & Family. The most famous Blues club in the south east. 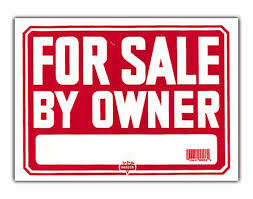 and is selling the club for a mere $48,000. The photos used during the cover of the Paul Rodgers-Andy Fraser (Free) classic "Fire and Water" are from various sources around the internet and no infringement is intended. I've added these to promote and enhance the song for the viewer/listener's pleasure. No sexual bias is ever intended; only possible inflection on the lyrics is suggested. Moonstone Project is the ambitious musical creation of Italian guitarist Matt Filippini. This first album; originally released back in 2006 as "Time To Take A Stand" is a collection of classic rock songs, some written by Filippini himself with the collaboration of songwriters close to him...The musical influences include British classic bluesy hard rock from the 70's...you find bits of Free, Jimi Hendrix, Deep Purple, Led Zeppelin...as if they had recorded these songs now! As a bonus the album features guest appearances of a bunch of true Rock Legends: Ian Paice (Deep Purple, Whitesnake, Gary Moore, Paul Mc Cartney), Eric Bloom (Blue Oyster Cult), Steve Walsh (Kansas), Glenn Hughes (Trapeze, Deep Purple, Black Sabbath, HTP), Graham Bonnet (Rainbow, Impellitteri, Alcatraz, MSG), Kelly Keeling (Michael Schenker Group, John Norum, Dokken, Stuarth Smith, Erik Norlander, George Lynch, Carmine Appice & many others), James Christian (House Of Lords) and Tony Franklin (Firm, Whitesnake, Blue Murder & a million others! ), Carmine Appice (Vanilla Fudge, Blue Murder, King Cobra, Rod Stewart et al! ), Paul Shortino (Rough Cutt, Quiet Riot, The Cutt). Additional musicians to embellish this unique musical adventure are Enrico Sarzi & Alex Mori, Maurizio Corriga, Nik Mazzucconi, Chris Catena, Gianluca Tagliavini, Alex Del Vecchio, Daniel Flores, Johan Niemann. The cd has been recorded @ Silicon Groove/Solid Groove Studios (Bergamo, Italy). Produced by: Matt Filippini & Max Numa. Co-produced by Vadim Galitsyn. Engineered by Vadim Galitsyn and Yonathan Ruckhman. Personal note: I have to thank my dear friend Andy for buying this CD for me! Also think about this...these legends recorded this with you in mind...if they thought the music was worth playing then we can only appreciate their efforts. Please if you like....buy the original recordings as they are so much better than any downloaded torrents. Please support the musicians, not just the record industry. Order your copy now !!!! 342 pages with hundreds of great pictures and interesting stories of 22 QUEEN and Paul Rodgers shows from 2005 to 2008 in Europe and North America. Annex with all the dates and facts about each of the 109 Queen and Paul Rodgers live performances from 2005 to 2008. Forewords by Brian May, Paul Rodgers and Roger Taylor. Price for the standard edition: 34,90 EUR + shipping. Thilo Rahn is donating 2 of each sold book to the MERCURY PHOENIX TRUST. Official release date: October, 1st 2010. Orders: www.rockmos.de or in bookstores (ISBN 978-3-00-032189-4). ROCKMOS! is also available in a special limited Edition of 111 numbered copies (see website). Bad Company hit the Bank of America Pavilion yesterday not so much with a concert but rather a pitch-perfect classic-rock tent revival. Standard-bearers of 1970s rock, Bad Company unfurled all the expected hits, plus a few choice deep-album cuts, before a packed crowd of devotees that knew every nuance of "Feel Like Makin' Love'' and cheered the exultation of "Seagull'' without a hint of irony. Things could have felt terribly dated but for the pure conviction of singer Paul Rodgers, guitarist Mick Ralphs, and drummer Simon Kirke, the original members of Bad Company, joined by bassist Lynn Sorensen and guitarist Howard Leese. Founding bassist Boz Burrell died in 2006, but took part in the 1999 incarnation of the band's reunion, which continues in spurts. Rodgers possesses possibly the strongest voice of rock's golden-age singers (talking to you, Jagger and Daltrey), and that power spurs a sense of awe within anyone who can appreciate the band's output of hit albums through the 1970s. If this was never your thing, so be it, but if a rousing sing-along to "Shooting Star'' sounds like a good night out, well then Bad Company still delivers. Bad Company launched its crisply paced show with "Can't Get Enough,'' a bit of bluesy yearning that serves not only as a signature hit but also a template for the band's work: narrative lyrics, chunky guitar hooks, disciplined grooves. Sure, all of the big numbers made the set list, but sensing that it was playing to the converted, Bad Company chipped in nifty obscurities like "Oh, Atlanta'' and "Gone, Gone, Gone,'' gifts to folks who own the albums as well as enjoy hearing a Bad Company tune pop up on the radio. 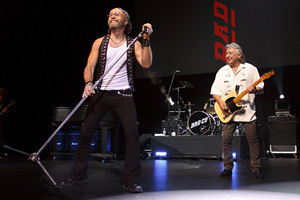 Touring with Leese (a regular in Rodgers's solo band), Bad Company boasts a fuller sound. But there were no signs of taking it easy among the founders, as Rodgers played harmonica and piano and Ralphs gussied up his riffs with spirited zeal. Boston's Township proved a perfect opener for the veterans. The crowd may not have known Township's songs, but could certainly pick up its gritty vibe. As a sold out crowd noisily filed into The Joint, the Hard Rocks newest entertainment venue, they probably had no idea what they were in store for. As ushers led people to their seats, photographers readied their gear as to assure not to miss a moment of the action. Moments later, Bad Company took the stage to a blacked out auditorium. A band as legendary as Bad Company needs no opener and wasted little time getting down to business. The audience was in it from the second the band took the stage, as they took to their feet for a rousing rendition of Cant get enough. The stage was simple enough to say these guys were just here for the music and no fancy pyrotechnics were necessary. After standing behind a piano from center stage and belting out Run with the Pack, Paul Rodgers then introduced the members of his solo band as well as the members of Bad Company. He was very happy to introduce the three original founding members, to include himself as lead vocalist, Mick Ralphs on guitar as well as backup vocalist, and drummer Simon Kirke. Members of his solo project were also in attendance with Lynn Sorensen on bass and Howard Leese on guitar. After all introductions were made the pace quickened and the bass intensified with the crowd really getting into it as the band played on through such hits as Youngblood, Seagull and Gone, Gone, Gone. What everyone really seemed to enjoy is when BadCo played Oh, Atlanta but customized it for Oklahoma throwing in Tulsa instead of Atlanta. Paul seemed very approachable, even greeting a few devout fans stage side while he sang. The mood of the The Joint seemed to reach a climax when the lights were brought down, the instruments went silent, and the disco ball spun to life lighting up the entire room as the first notes of Shooting Star were played. The crowd involvement for this song was unlike any other on the night, with Paul directing each side of the room during the chorus. He thanked the audience for being so involved and then asked for them to give themselves a round of applause. As the first set came to a close with a rocking version of Rock N Roll Fantasy the lights went down and the band disappeared. Moments later to a chanting assembly of fans the ensemble played their self-titled track Bad Company to which everyone knew the words. Just when the crowd thought they were done, the trio returned to play Preacher, Simple Man, and Rock Steady. As Paul and the gang gathered at the front to take a bow before leaving the stage, he reminded fans to take care of each other and take care of the planet. A fitting message from a man who has done just that over the past 40 years through his many charitable contributions to music itself.